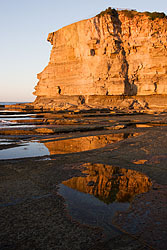 The Skillion – local landmark and tourist attraction in Terrigal (major suburb of the Central Coast, New South Wales, Australia.) 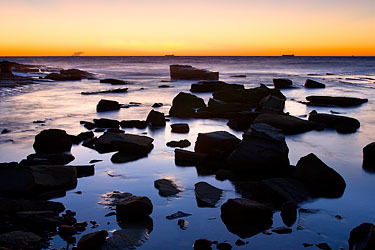 It is a narrow rocky cape with a lookout on the top with a wonderful coastal views. 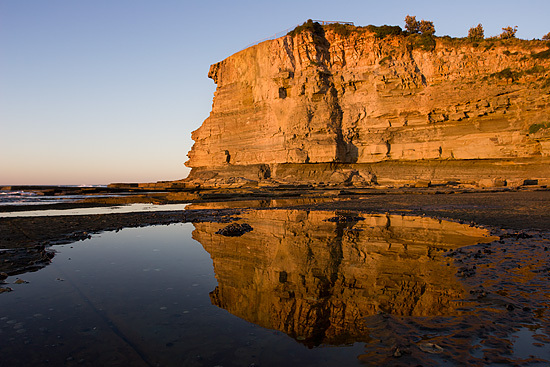 There is a number of concrete patches on the cliff, signs of a recent restoration work, that keeps the Skillion safe and stable enough to allow tourists on the lookout. The rocky coast on the left side of the Skillion lies on the platform, where you can walk during the low tide, but I would not recommend being there when waves are high.